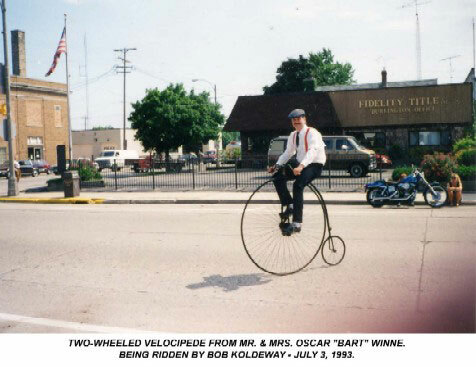 The Burlington Historical Society was organized in 1928 and was the first Historical Society in Racine County. 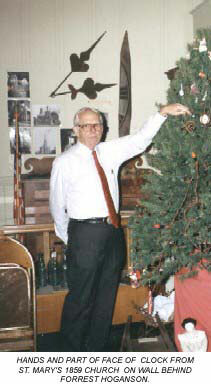 2013 will mark the Society's 85th anniversary. 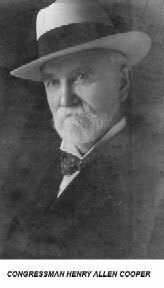 The chairman of the organization meeting was Otis Hulett, a native of Union Grove and long-time resident of Burlington, who, at that time, was Burlington correspondent for the Racine Journal-News (later the Racine Journal and now the Journal Times). The Historical Society's initial membership totaled 105, with the first officers being Mrs. William A. Fulton (Antoinette Meinhardt), president; Herbert Duckett, vice president; and Augusta Nielson (later Mrs. Louis Zwiebel), secretary and treasurer. Among the first articles donated to the Society were a Lincoln campaign pin, several historical newspapers, and the store ledgers of the Foltz dry goods and clothing store, which had gone out of business in 1927 after 70 years in Burlington. 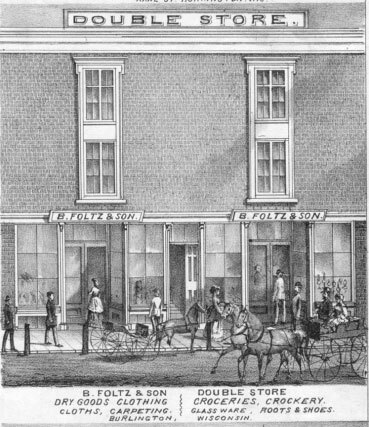 The Foltz store was originally in the building where the Health Food Store and Johnson's Jewelers were located in 2003 and later moved to the Buell building, now called the Loop Building, where Pieters Bros. and Barton's department store were later occupants. 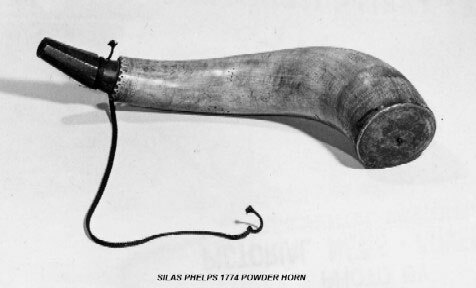 Another early accession was a powder horn, dating from 1774, on which Silas Phelps, then a Connecticut resident, carved a sailing ship, a watch, and other objects and the inscription "TAKE NOT THIS HORN FOR FEAR OF SHAME, FOR ON IT STANDS THE OWNER'S NAME." Also received were a cap box used during the Civil War by George Forge, father of former Mayor Louis A. Forge; the first iron lock used in Rochester; a wooden boot jack; a pewter platter and pewter teapot; and from George F. Jones, Burlington's last living Civil War veteran, who died in 1933, a bottle containing a number of paper bullets made for use during that war. Two facts about George Jones may be of some interest. 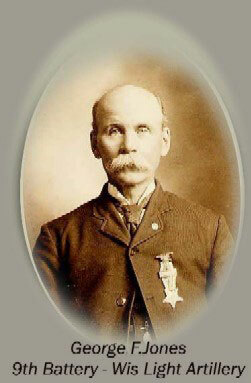 One is that his father, also named George, was also a Civil War veteran; he had died in 1897. The other is that George F. was the uncle - and his father George, the grandfather - of Clarence "Ginger" Beaumont, a native of Rochester and later a resident of Honey Creek and Burlington, who was the very first batter ever in a baseball World Series game. Bill Branen, the late editor of the Standard Press, mounted a campaign in the late 1980s to get Beaumont into the Baseball Hall of Fame at Cooperstown. That campaign was unsuccessful, but there are still those who hope that Beaumont, who was in the first group to be inducted into the Wisconsin Sports Hall of Fame, will someday make it to Cooperstown. By mid-April 1928, the Society's collection had grown to 208 accessioned articles; and later in April the Society gained its first "long-distance" member, when Joseph Chamberlain of Boston joined the Society. The Chamberlain family had run a hotel near the St. Paul depot in the 1860s. That depot, which was west of McHenry Street, has disappeared, but the railroad's tracks, which run along the south end of Burlington, are still in use for local traffic. 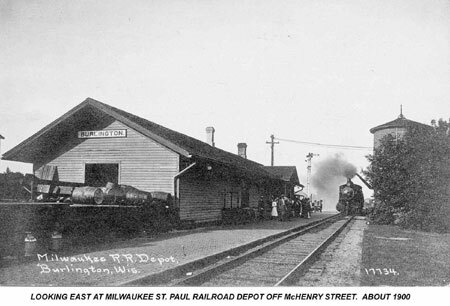 That railroad line, which began as the Racine and Mississippi Railroad and then became the Western Union Railroad before becoming the Chicago, Milwaukee, and St. Paul Road, was the first one to be built through Burlington in 1855. The Wisconsin Central, later called the Soo Line, then the Wisconsin Central again, and now the Canadian National, was built through Burlington in 1886. The Society's first program was held on April 2, 1928, at the TMERL building where the Standard Press is now located. 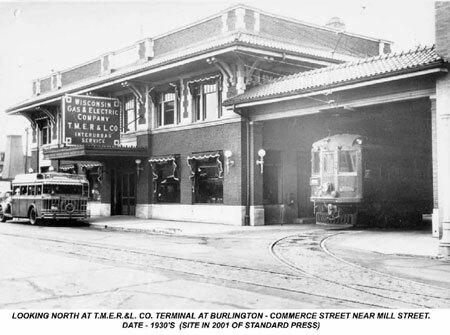 TMERL - The Milwaukee Electric Rail & Light Co. - operated the Interurban electric rail cars between Burlington and St. Martins, near Milwaukee, from 1909 until 1938. The first program was devoted to Indian history. Herb Duckett, a local farmer and historian (and the Society's vice president), talked on his study of Indian life in this section, and Clark M. Knight, superintendent of the Nestle's Milk Products plant, who spent most of his early life among the Indians while his father was an Indian agent and who himself had also served as an Indian agent, spoke of his experiences and displayed some of the Indian beadwork his Indian friends had given him. According to Duckett, 27 Indian mounds were located in what is now Burlington's business district. 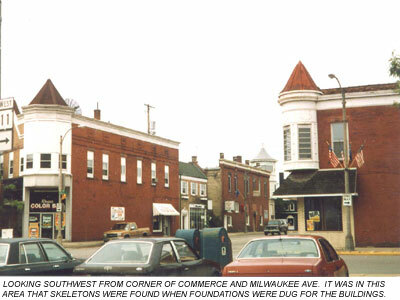 And over the years, the Burlington newspapers have reported the finding of bones while excavating to lay the foundations for several buildings in the downtown area, particularly the area where the Spinning Top Museum, JLS Vacuum, and Kreins Color Bar were later located. 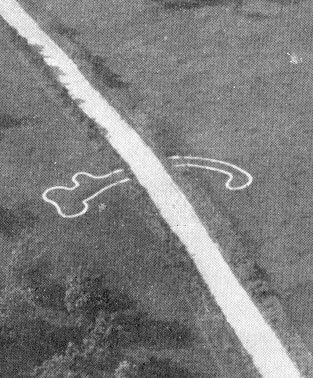 Bones were also found on the old fair grounds (where the Burlington Blanket Co., later called the Burlington Mills, was built), near Tower Hill on Storle Ave., on the north side of the mill pond (Grove St.), and on the northeast side of the Fox River, near what is now the start of the bike trail, when the Interurban electric rail car line was constructed in 1909. 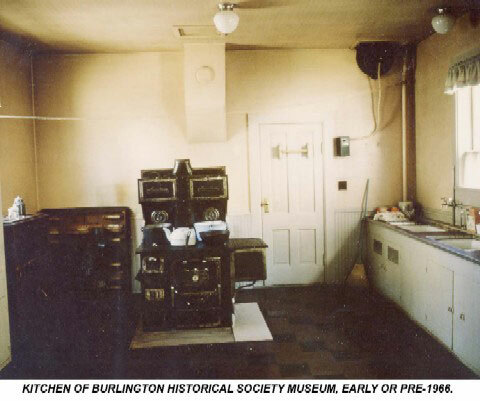 In October 1928 the Burlington School Board decided to allow the Historical Society to use a room at the Conkey Street School to display the Society's artifacts. 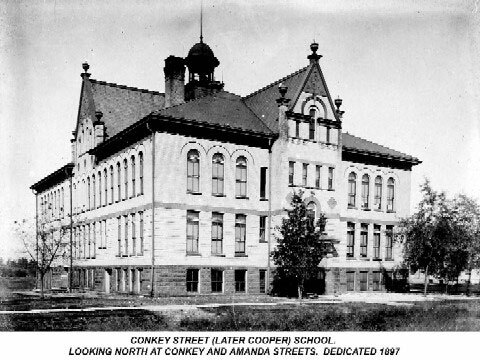 That school, which was given the name Cooper School in 1940, had some excess space at the time because a new high school had opened on Robert Street in 1925. The Society continued to have use of that room until 1947, when an increasing enrollment made it necessary for the school board to reclaim the room as a classroom. Somewhat coincidentally perhaps, the Society's meeting in November 1928 featured a talk by Congressman Henry Allen Cooper, for whom the Conkey Street School was later renamed. Cooper, whose picture is displayed in one of the shadow boxes in the front part of the Burlington Historical Museum and whose office chair is now in the Society's collection, was born on a farm in Spring Prairie in 1850 and, at age 5, moved into Burlington with his family. His father, Joel Henry Cooper, was one of Burlington's early doctors and owned a drug store, first on Pine Street and then in the Chestnut Street building where the Shy Violet is now located. 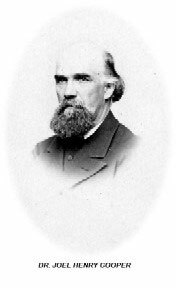 In 1861 Dr. Cooper was appointed by President Lincoln as Burlington's postmaster, an office he held until he resigned in 1874. During that time, the post office was located in Cooper's drug store. 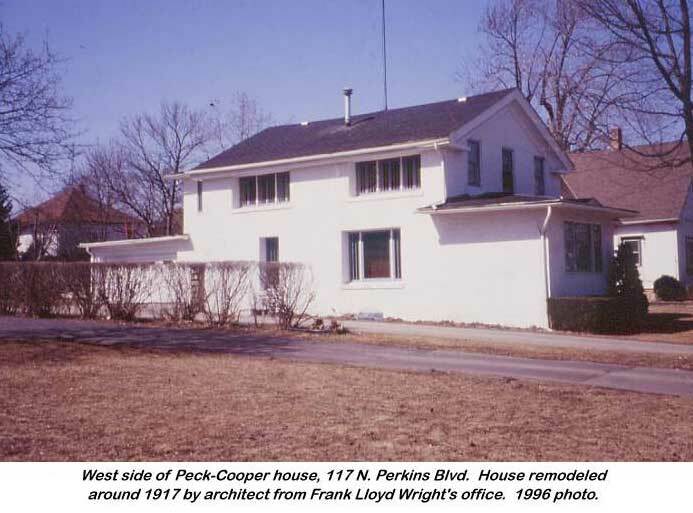 The family lived in the former Silas Peck house, now owned by Greg and Nadine Olson, which is right next to what is now known as Lincoln School. The house has been identified as one of the Burlington stops on the Underground Railroad. Cooper, who was first elected to Congress in 1892, served as Wisconsin's 1st District representative for more than 30 years, missing only a 2 year term right after the First World War. In the next election, he won by the largest plurality ever given a Wisconsin congressman. The last bill Cooper introduced, before his death in 1931, was to change the name of B Street in Washington, D.C., to Constitution Avenue. If you've been to Washington, you might recall that Constitution Avenue runs from near the U.S. Capitol building along the Mall to the Lincoln Memorial. 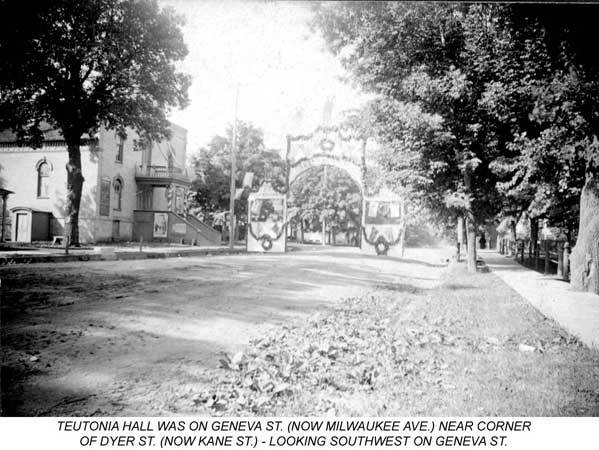 In 1929 the Society began planning for Burlington's centennial, which would occur in 1935. 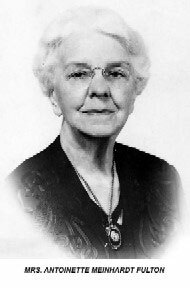 As part of the preparation for the centennial, Augusta Zwiebel, with the help of Francis Meurer, wrote a history of Burlington. More than half a century later, that history formed the basis for "The First 150+ Years" history book that Fran Meurer and Don Reed wrote and Glenn, Jerry, and Jim Hintz of the Hi-Liter published in 1991. Society activities during 1929 included exploration of some of the Indian trails in the Burlington area, a visit to the Panther Effigy mound through which Highway 83 passes on the way to New Munster, and visits to some of the old cemeteries in the Burlington area to record tombstone information. These cemeteries included the Old Burlington cemetery on the wooded hill on the north side of the main cemetery; Mt. Hope, or Bell, cemetery on North Spring Prairie Road; Rooker Cemetery, on Spring Prairie Road east of Honey Creek; Diener Cemetery near Vienna; Loescher, or Brighton, Cemetery; and Karcher Cemetery south of Burlington off Schaal Road. During the year, the Society also placed a display case in the Library; made plans to participate in marking the grave of James J. Strang, who established the Mormon settlement at Voree; and went "international" when Charles Gunn of Manila in the Philippines, a grandson of Dr. Edward G. Dyer, became a Society member. In May 1930 the Society held an outdoor picnic meeting on the grounds of the Meinhardt residence on Kane Street with the historic log cabin as a background. About 200 people attended. 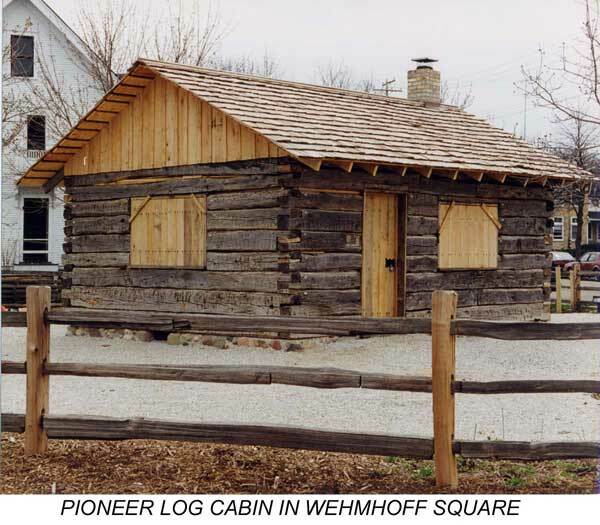 (The log cabin has been moved twice since then, and now sits in Wehmhoff Square in downtown Burlington.) A quilt and coverlet show, with over 100 on exhibit, was held by the Society in rooms above the Meinhardt Bank in 1931. Also in 1931 the Society received the Civil War surgical kit of Dr. George Newell and a 2-wheel velocipede, both of which are displayed at the Museum; and from Joseph Rueter, "enough bricks from Teutonia Hall to build a fireplace in the Society's future home." Teutonia Hall, also known over the years as the opera house and the Orpheum Theatre, stood on the corner of what is now Milwaukee Avenue and N. Kane Street, where a gas station is currently located. It was built there in 1871 and lasted until January 1930, when it burned down. At one time, the building boasted the second largest stage in the State of Wisconsin. The Society has in its collection the large cast iron sign that hung on the front of the building over the balcony door. The sign was found buried in the ground by John Tietel and Bill Goldsworthy in about 1970, 40 years after the fire. A famous fire also figured in Teutonia Hall's earliest days. On October 8, 1871, the hall was to be dedicated and a sumptuous feast was prepared. But the Teutonia Society members never ate a bit of it. That was the night of the Great Chicago Fire and, hearing about the destitute, the society packed up their feast and sent it to the sufferers. In 1933 the Historical Society sponsored a student essay contest on Burlington history; 23 entries were submitted, all unsigned for judging. Prizes were won by Carl Rubach for a history of the Buttles family, Beatrice Brennan for her history of Catholics in Burlington, and Marcella Vos for her history of the Town of Wheatland. -- an 1838 oil painting of John Hockings, who settled at Brown's Lake in 1844 - Hockings had been a famous prohibitionist orator in England, known as the "Birmingham Blacksmith"; the Hockings family started The Antlers resort at Brown's Lake, which was later known as Liggett's. The large painting hangs on the east wall. 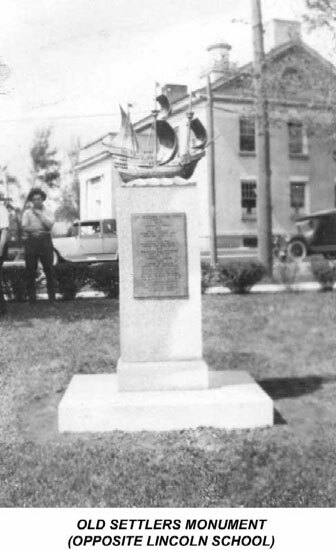 The 1930s also marked the beginning of the Society's efforts to preserve and call attention to Burlington's heritage. 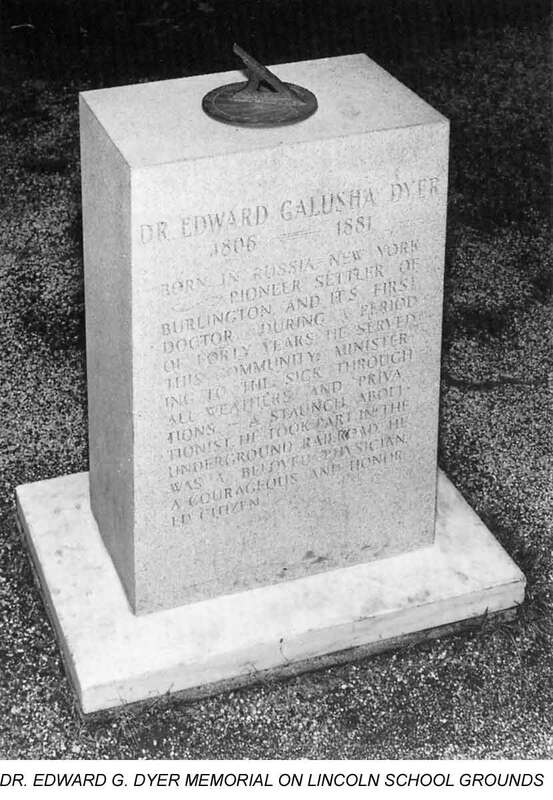 It aided Mrs. Charles Dyer Norton in erecting a sun dial on the Lincoln School grounds with an inscription on the marble base honoring Dr. Edward G. Dyer, Burlington's first doctor and a leading abolitionist in this area. The original base, which now stands in front of the Museum, was made from marble left over from the Tomb of the Unknown Soldier at Arlington National Cemetery. The sun dial and base now at the Lincoln School replaced the original. The ship marker near the on State Street (between Perkins Blvd. and Kane St.), listing the names of early settlers, had been placed before the Society's existence. It marks the location of Dr. Dyer's home, a frame house that stood there from the 1840s until about 1915. That house was one of the Burlington "stops" on the Underground Railroad. 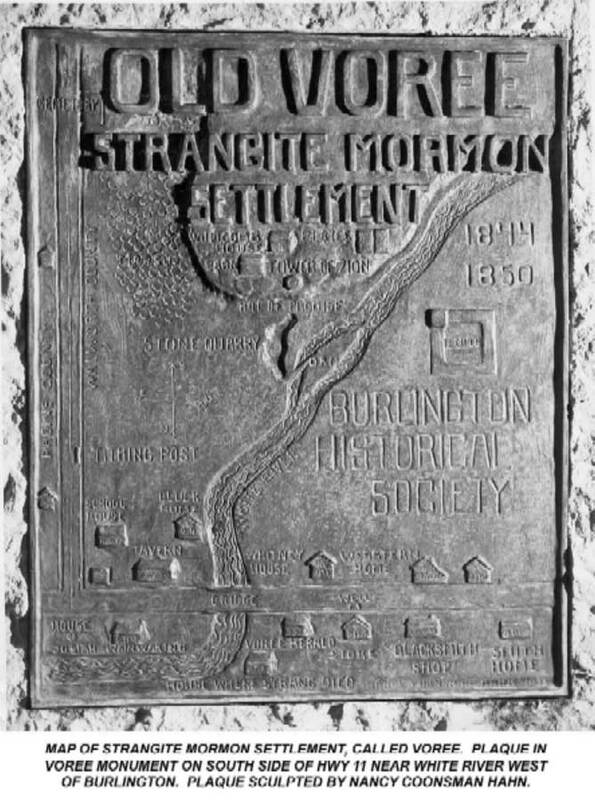 In 1934, the Society secured a 99-year lease on a little park on the south side of Highway 11 at the White River where it erected, in cooperation with the Mormon people living in the area, a monument bearing a bronze casting of a map of Voree. 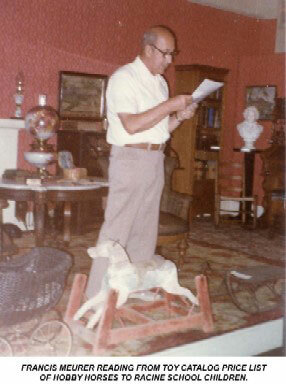 The Voree site was surveyed and the map was prepared by Edwin S. Ela, while the casting was done by Nancy Coonsman Hahn, a nationally known sculptress and wife of Mannel Hahn, who was the first president of the Burlington Liars Club. During the 1940s the Society continued to collect artifacts, present programs, and display its collection in the room at Cooper School and in the case at the Library. After 1947, however, when the Society lost the use of the room at Cooper School, interest in the Society fell to a very low level, but it was still kept in existence by the concern of a few directors. 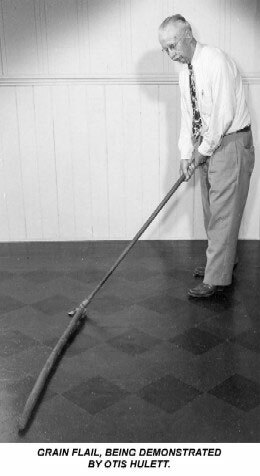 During that time the school board allowed all the artifacts to be stored in the school attic. 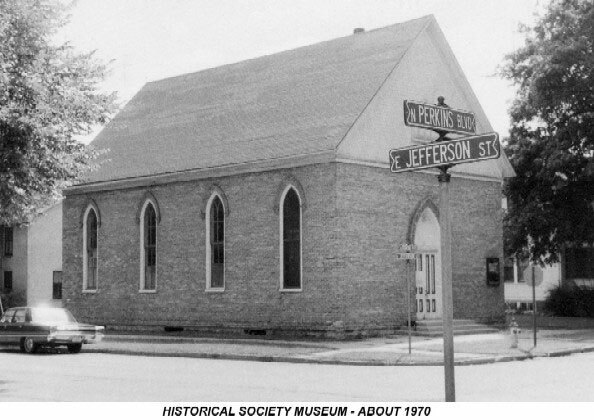 There was a resurrection of Interest in 1964 when Mrs. Fulton announced her donation to the Society of the old Holy Cross Lutheran church building on the corner of Jefferson Street and Perkins Boulevard. 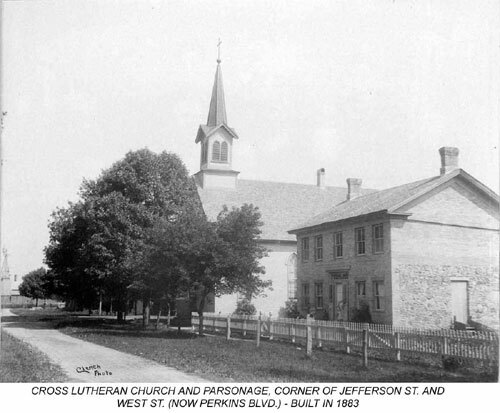 The church had been built in 1883 by several families that split off from St. John's Lutheran church. 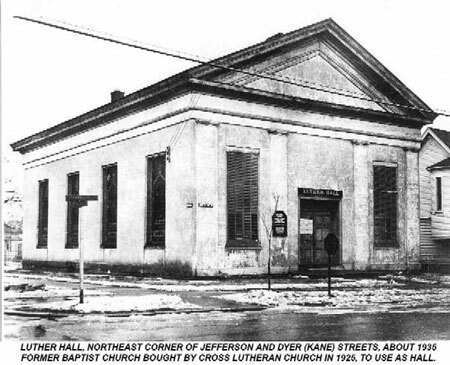 The congregation held services at the building until 1939, when it moved to another church building a block west on the corner of Jefferson and Kane Streets that now houses the Church of the Nazarene. That building is even older, having been built in 1852 by several Protestant groups as the Union Free church. The Holy Cross Lutherans had bought the building in 1923 for use as a school and social hall and had renamed it Luther Hall. When the congregation moved there in 1939, the former church (now the Museum) became Luther Hall. Both buildings became expendable when the Cross Lutheran congregation moved to its current church at 126 Chapel Terrace (near E. State St.) in 1963. Following Mrs. Fulton's gift of the building, volunteers spent countless hours refurbishing the interior to turn it into a museum. And Park Department and Electric Company employees furnished men and trucks to move the artifacts from the school to the new museum. Exhibits were prepared, including the creation and furnishing of the turn-of-the-century kitchen; an inventory was made of the existing collection; additional artifacts were collected and accessioned; programs were given; and tours were arranged, especially for fourth graders each year. 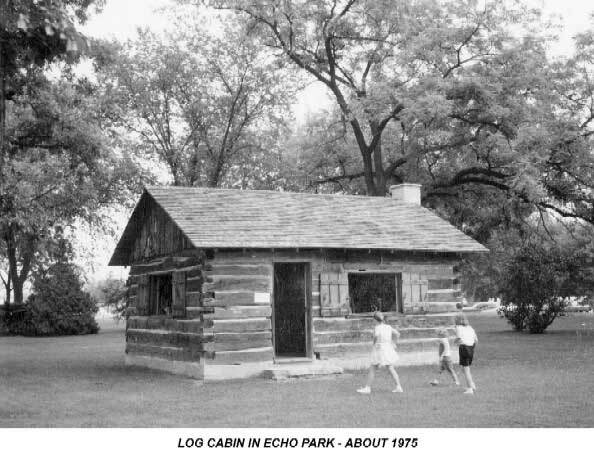 In addition, the former Meinhardt log cabin, which had been donated to the city by Robert Fulton and moved to Echo Park, was furnished and regularly opened for visits. 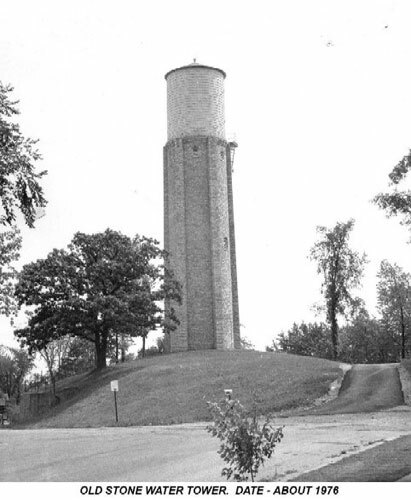 In the early 1980s Society members participated in efforts to save the 1890 water tower on Lewis Street, which is now a City park. The tank portion of the tower is again in need of some work. 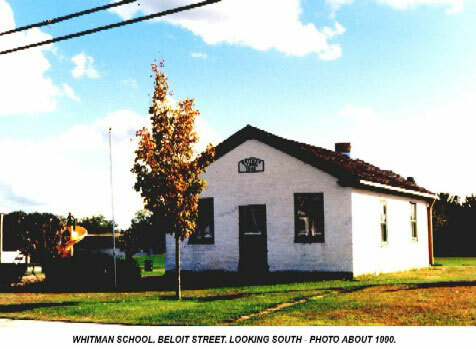 Also in the early 1980s, the Society acquired the 1840 brick schoolhouse, now known as Whitman School, that stood off Madison Street near Dodge Street and was about to be razed to make way for a garage. It was the first school building built in Burlington, although it was no longer used as a school after 1856. 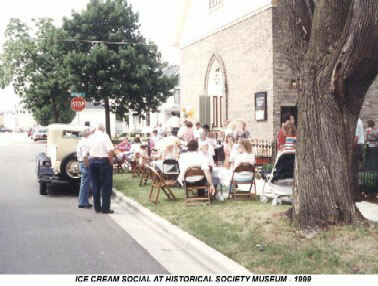 The Society launched a fund drive in 1986 to move the building from its original site to Schmaling Park on Beloit Street. 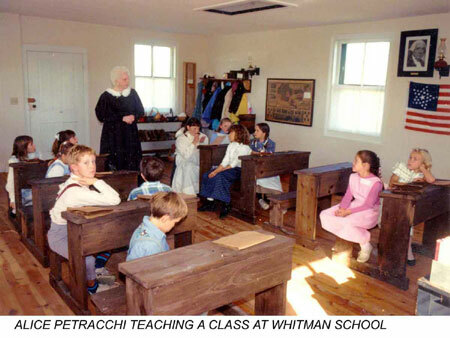 There it was restored as a one-room schoolhouse, and for a few years, under Alice Petracchi's leadership, classes were taught there as they were in the 1840s to children whose parents wanted them to have that experience. There haven't been such classes for the past several years, although some interest has been expressed in doing that again. The school is opened from time to time for scheduled tours and for visitors, and the Society continues to maintain it. The Society also built a storage building near the school in 2010. 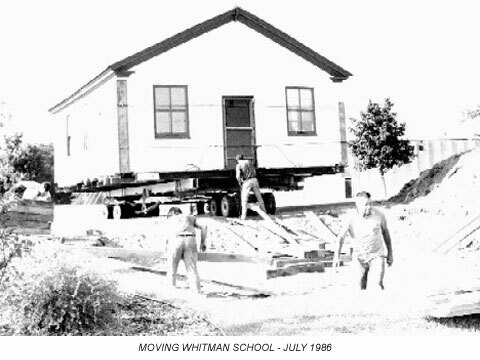 The dismantling, moving, cleaning, and rebuilding in Wehmhoff Square of the log cabin that had been in Echo Park (and earlier on the Meinhardt property) was another of the Society's major projects. The cabin, originally on a farm - said to be the Hinzpeter farm by Mrs. Fulton - south of Burlington, was bought by Dr. Francis Meinhardt in the early 1900s and moved to a pine grove on the spacious Meinhardt estate on Kane street, where it was used as a recreation room and for lawn parties. Dr. Meinhardt, a dentist with offices over the Meinhardt Bank, now Chase Bank, was the person who donated the Lincoln Statue at State and Kane Streets to the City of Burlington. 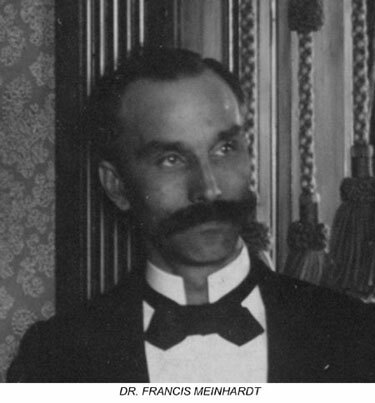 Somewhat sadly, Dr. Meinhardt died before the Statue was completed and dedicated in 1913. A model of the Lincoln Statue, sent to the Meinhardts for approval before the actual statue was cast, is displayed at the Museum. In 1960 Meinhardt's nephew, attorney Robert Fulton, donated the cabin to the city of Burlington to be used as an example of pioneer architecture. The building was moved to Echo Park on the south shore of Echo Lake. 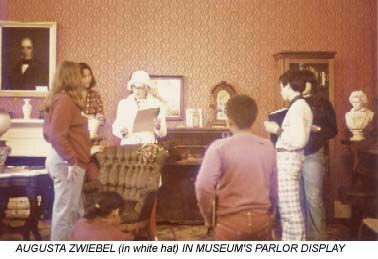 The Society furnished the cabin and opened it for tours and visits for several years. The statue, which had been donated to the City in 1913 by Dr. Francis W. Meinhardt, had become seriously dilapidated and in need of refurbishing. 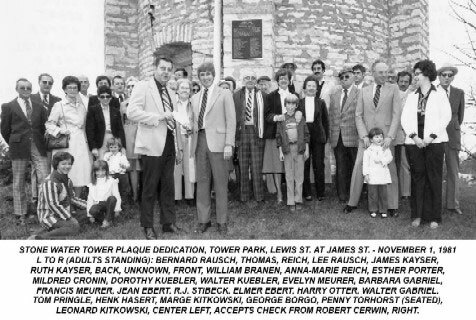 Under the leadership of the Society’s then-president Forrest Hoganson and his board members, including Doug Lind, Nick King, Susan Kaat, and others, the statue was professionally cleaned, a protective wax coating was added, and the statue was rededicated in ceremonies held in 1995. In 1997, after a period of very limited use and increasing deterioriation, a decision was made to move the cabin to Wehmhoff Square in downtown Burlington and restore it. The cabin was dismantled and the logs cleaned and treated. Reassembly and restoration of the cabin began in spring 1998 and was completed with opening ceremonies on July 4, 1999. The Society, with the cooperation of the City of Burlington and the help of numerous volunteers and financial contributors, handled the reassembly and restoration of the cabin. The Burlington Area Garden Club prepared and planted the gardens. 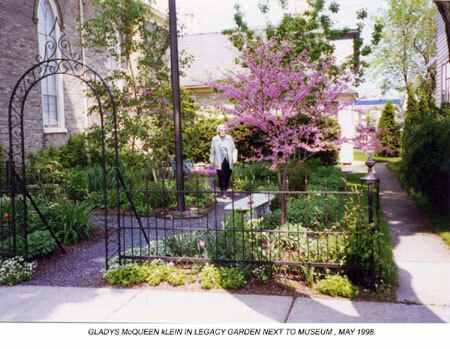 The Garden Club also takes care of the Legacy Garden at the Museum. In 2005, the Society had Arcadia Publishing Co. publish an Images of America volume on Burlington, containing about 230 photographs. In 2007, the Society decided to add a second floor to the Museum, install a new roof, and paint the interior and exterior. The projects took three years to complete, and the Museum was re-opened in October 2010. As of 2013, the Society's members, although limited in number, were spread from New York on the east coast to California on the west and from Minnesota on the north to Texas in the south. There is even a member, formerly of Burlington, living in France. The Society, which is organized as a private, non-profit corporation, is governed by a 12-member board of directors, with staggered 3-year terms. The Society officers as of January 2017 included Dennis Tully, president; Don Vande Sand, vice president; Priscilla Crowley, secretary; and John Smith, treasurer. Other Board members are Timothy Beix, Jackie Heiligenthal, Marilee Hoffman, Peter Hintz, Stephanie Rummler, James Spiegelhoff, and Ray Ziebell. The board, with some exceptions due to holidays, generally meets on the first Monday of the month. The Museum is generally open on Sunday afternoons from 1 to 4, and other times by appointment. It is staffed entirely by volunteers. The Society's accession list now totals over 7,700 items, only a limited number of which are able to be displayed at the Museum, the Whitman School, and the Pioneer Log Cabin. 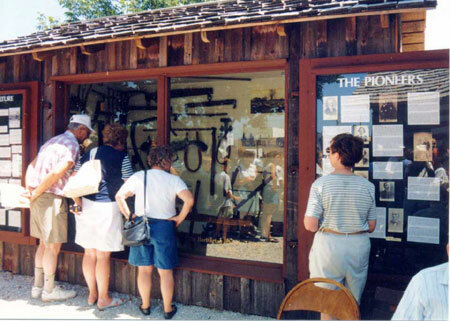 The Pioneer Log Cabin, with some of the docents in period costumes, is open Saturday afternoons from mid-May through mid-October from 1 to 4; during special Burlington community activities, including the Farmers Market on Thursdays; and by appointment. A nearby tool shed on the Cabin grounds contains a display of agricultural and woodworking tools, and provides information on the agricultural history of the Burlington area and on some of the pioneer settlers and their families. To the extent permitted by time and volunteer help, the Society answers inquiries and requests for information on both historical and genealogical matters. It also has an extensive photograph collection, some of which it has digitized. 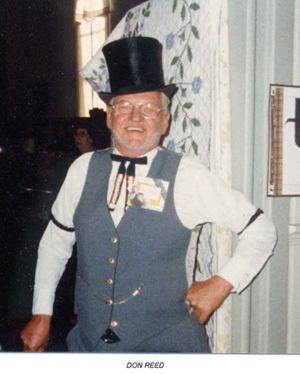 A selection of photos is available on the internet at burlingtonhistory.org.